The NAF Off Citronella Wash is a naturally scented, no-rinse body wash for refreshing your horse. Add one capful of Citronella Wash to 5 litres of water and use to wash down hot or sweaty horses. Remove excess with a sweat scraper and leave to dry. This low foam formulation does not need to be rinsed off. NAF recommend a small test patch prior to initial use. For External Use Only. For Animal Use Only. 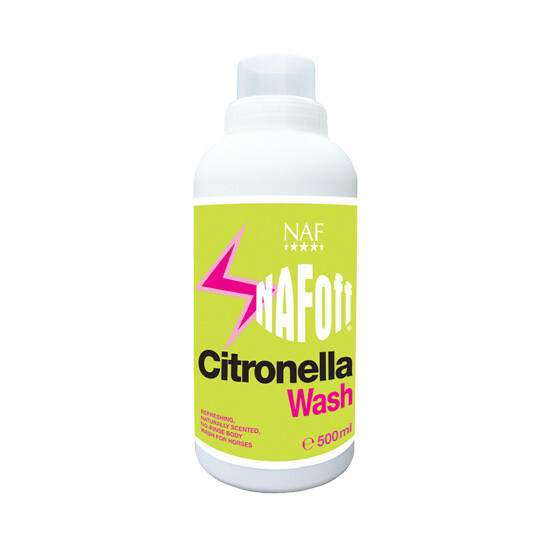 There are currently no questions for NAF Off Citronella Wash for Horses - be the first to ask one!